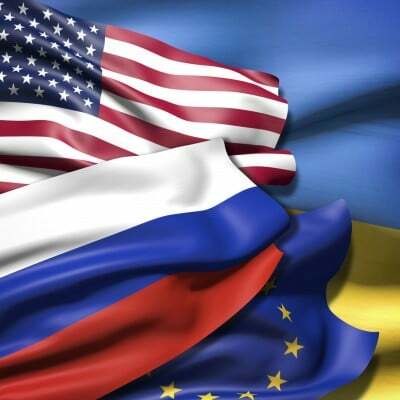 EU Increasingly Abandons Obama on Ukraine? This is especially the case with Germany’s Foreign Minister, Frank-Walter Steinmeier, who comes from Germany’s Social Democratic Party, which is far less conservative (and far less anti-Russian) than the Christian Democratic Union Party, Chancellor Merkel’s party. The CDU has traditionally been hostile toward Russia, but the SDP has instead favored an unprejudiced policy regarding Russia, after the breakup of the Soviet Union and the end of communism there. Steinmeier has always been skeptical of Obama’s intentions regarding Ukraine and Russia, but now it appears that even Merkel is veering away from the United States on these policies. Spiegel provides the details on Breedlove, but especially blames Victoria Nuland, the Obama official who actually ran the February 2014 coup in Ukraine and who selected the person who would steer the new, post-coup, Ukrainian Government in the ways that President Obama wants. Spiegel notes that, after the second — which was the Merkel-Hollande — Ukrainian ceasefire was reached at Minsk in late February, Breedlove announced that “well over a thousand combat vehicles, Russian combat forces, some of their most sophisticated air defense, battalions of artillery” had just been sent to the conflict-region, Donbass, from Russia. “What is clear,” Breedlove said, “is that right now, it is not getting better. It is getting worse every day.” All of that was fictitious. Spiegel continues: “German leaders in Berlin were stunned. They didn’t understand what Breedlove was talking about. And it wasn’t the first time. Once again, the German government, supported by intelligence gathered by the Bundesnachrichtendienst (BND), Germany’s foreign intelligence agency,” heard Breedlove lie and were shocked by it. Throughout, Spiegel ignores that Obama has been driving his entire Administration to marginalize, weaken, and crush Russia, and that this overriding goal of his foreign policies does not originate with his hires but with himself: he chooses these “Super Hawks” regarding Russia, because this is who he secretly is. When he plays the good cop in the good-cop bad-cop routine on Russia, it’s an act, which is designed to fool the public. Obama bombed Libya because Muammar Gaddafi was friendly to Russia; he bombs Syria because Bashar al-Assad is friendly to Russia; he overthrew Ukraine’s Government because Viktor Yanukovych was friendly to Russia; and he has been and is squeezing Iran because Iran is friendly to Russia. Israel is no different than the U.S.: it’s rabidly anti-Russian (and most of the large political donations to there come from American billioinaires; Israel is America’s 51st state, which has lots more than one-fifty-first of the power over the American Government — it’s the most powerful of the 51 actual states, even though it has no fealty to the U.S. Constitution and no constitution of its own); and both the U.S. and Israel are allied with Saudi and other Arab royals because they’re all anti-Russian. America’s ally is Saudi Wahhabist jihadist Islam, not the EU. America created Al Qaeda, and ISIS. Everything else than the obsession to isolate and destroy Russia is just an act, for the American aristocracy (including the ones who own Israel) — and especially for all Republican politicians and for the top Democratic ones. Maybe the EU will finally decide that they’ve had enough of it, and invite Russia to join with them, and will tell Ukraine that they’re a bit too American for European tastes, after all: Europe has had enough experience with fascism and nazism, so that they don’t want to invite it back in again. But will Germany actually do this? Will France actually do this? Have they had enough of “Sunni jihad“, and of “Christian nazism” (both just aristocratic ploys), to decide that they want no part of either one? Maybe goodbye, U.S.; hello, Russia? What type of Europe would that be? Might it out-compete the U.S.? Would it be the best thing for Europeans? That’s the big strategic question in our time. And it’s not America’s to answer. Either Europe will go with democracy and peace and abandon NATO (i.e., abandon the U.S. military), or else it will go with nazism and war and abandon democracy (like the U.S. itself has done, especially in Ukraine). Which will it be? Europe will need to choose between Russia and the United States. If it goes with the U.S., Europeans will become servants to America’s aristocracy — to the people who are now actually running Ukraine. If it goes with Russia, then perhaps a United States of Europe will become possible so that no nation’s aristocracy will have either the inclination or the ability to dictate to the governments of Europe. Stay tuned. These are exciting times: the stakes for future history have never been higher. It’s not really Obama who is on the fence. It is Europe. And the decision will be for Europe’s leaders — not for America’s, nor for Russia’s — to make. They are in the driver’s seat, for Europe’s future — and for the entire world’s.